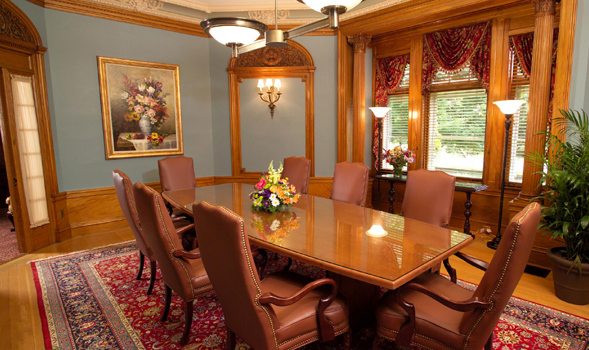 The original use for the conference room was a ladies parlor. During the Todd’s residence, it became the billiards room. The billiards table was in the center of the room, running east and west. The cue stands previously flanked the fireplace. Contact our offices today for all your employment-related disputes.